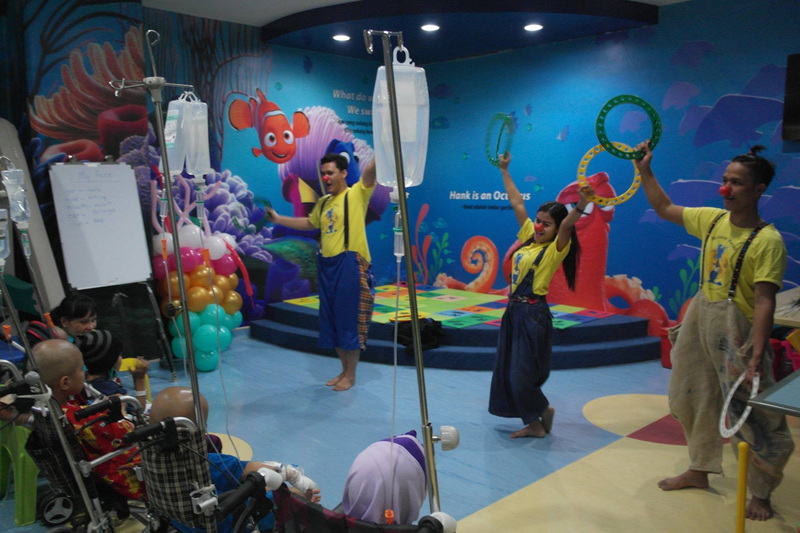 Mary’s Cancer Kiddies were absolutely delighted to have the Red Nose Foundation perform at Dharmais Hospital. Below is a snippet from their February monthly newsletter. 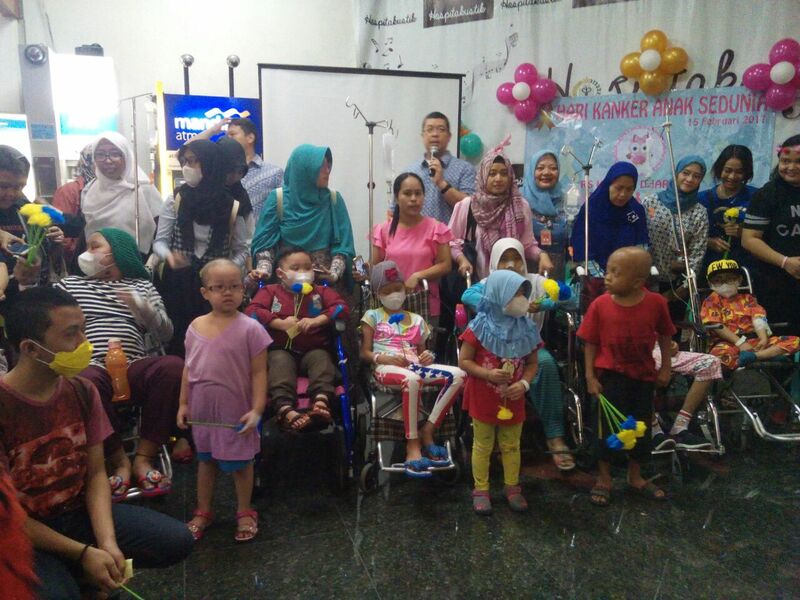 As part of commemorations for International Childhood Cancer Day, Red Nose Foundation was invited by Mary’s Cancer Kiddies, a cancer care organization, to perform at Dharmais Hospital – National Cancer Center to the kids who receive treatment. 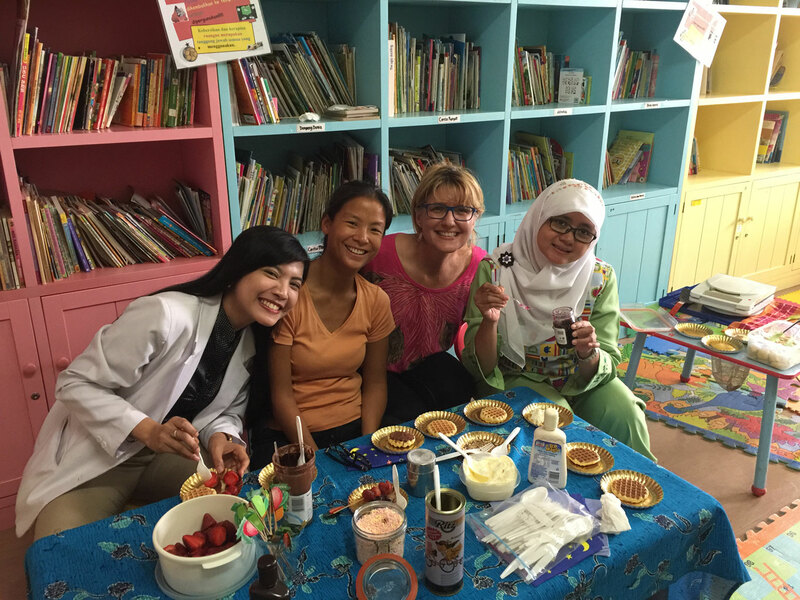 Artistic Director Dedi along with circus teachers Wawan and April performed circus tricks and clowning to entertain the kids and staff who come to the show. 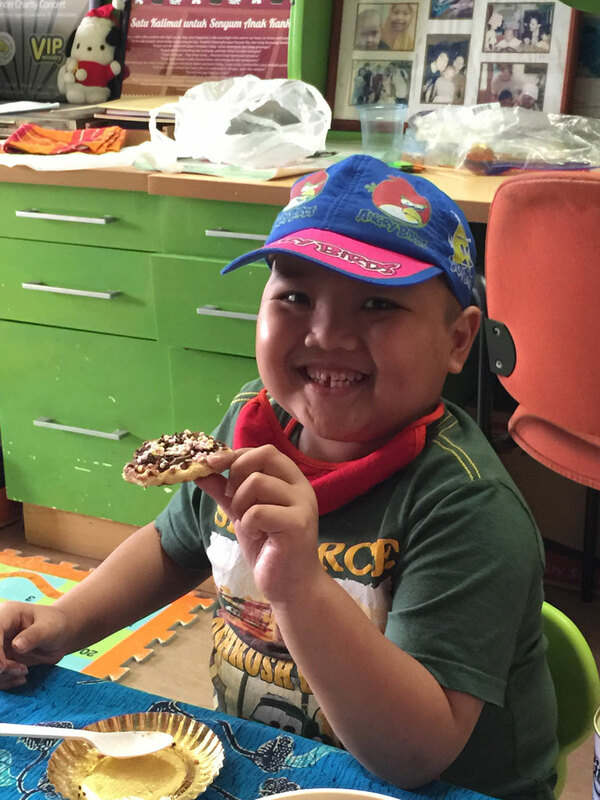 “While there are over 30 kids in this hospital, unfortunately only these 6 are fit enough to leave their rooms and join us,” mentioned Inge, a volunteer of Mary’s Cancer Kiddies. At the end of the show, the kids tried basic circus skills in a workshop and then sang nursery rhymes together with Red Nose team, their parents and medical staff. 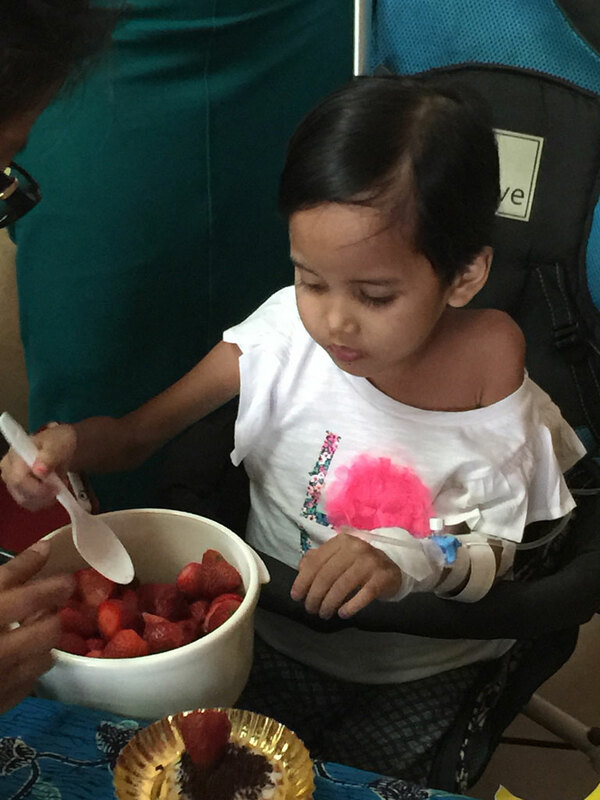 Despite their physical condition and the IV tubes attached to their hands, the 6 kids were excited to learn the circus tricks that we showed them. Some of them could keep a plate spinning on their fingers, which brought them great joy! 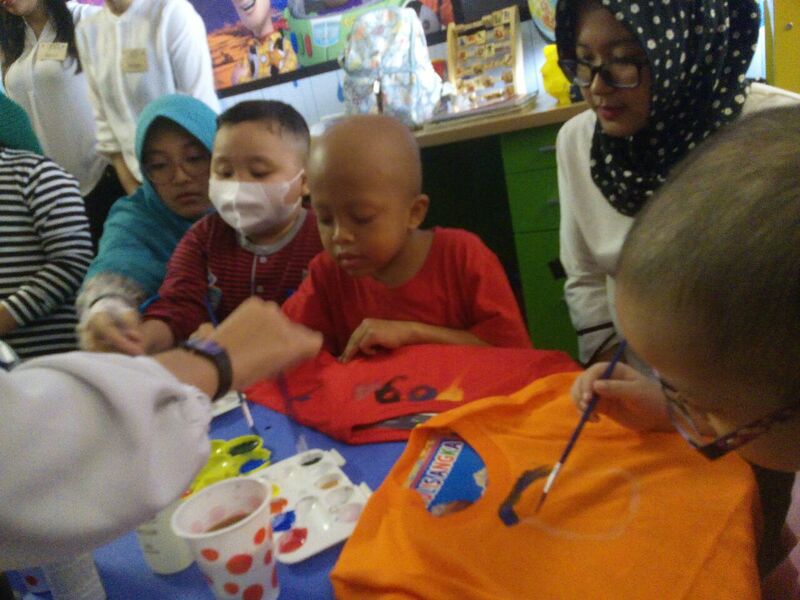 Mary’s Cancer Kiddies donated t-shirts and paints for the t-shirt painting contest at RS Kanker Dharmais on Friday 17 Feb 2017 to commemorate World Childhood Cancer Day. 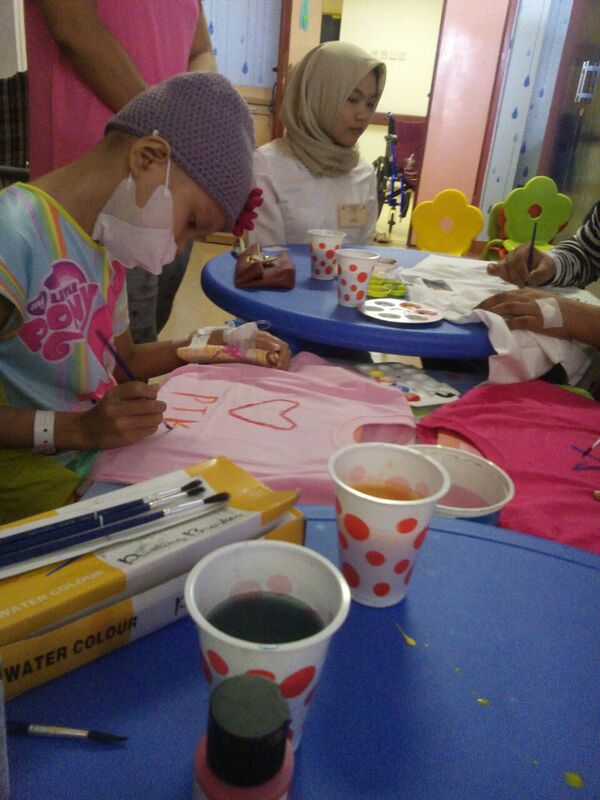 The children loved drawing and making t-shirts for themselves. A big shout out to Grade 10 students from Jakarta Intercultural School. The students visited RS Dharmais as part of their Service Learning Week project – Passion into Action recently. 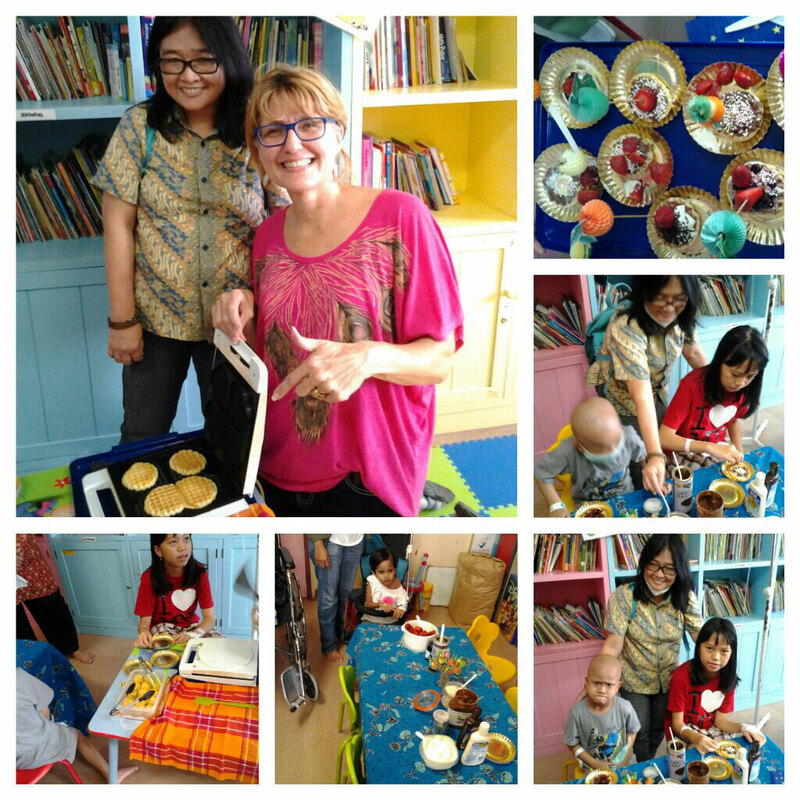 They made fruit salad and Belgium waffles with the cancer kiddies whom were all very busy cutting up fruit and decorating waffles. 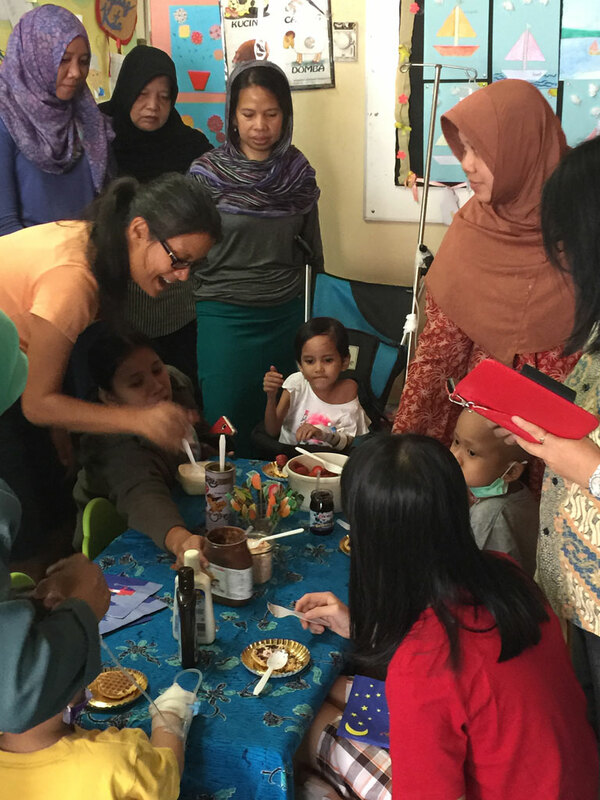 Mary’s Cancer Kiddies visited Rumah Sakit Dharmais (hospital) and met with some of the patients they are helping. Laeni (below) is 15 years old and from Kuningan in West Java. She is receiving chemo after having a Yoke Sac tumour removed from her abdomen. 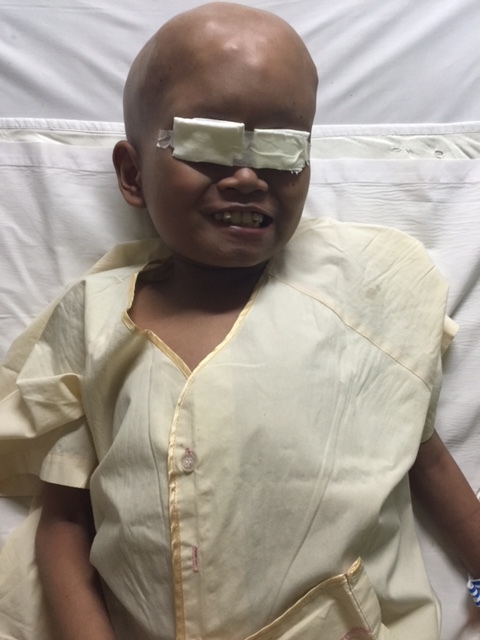 Furgon, 11 years old, is receiving palliative care as his cancer has spread to his brain. Facing the end of his short life however, didn’t stop him from singing a well know Indonesian song ‘Balonku’ when MCK visited his bed. 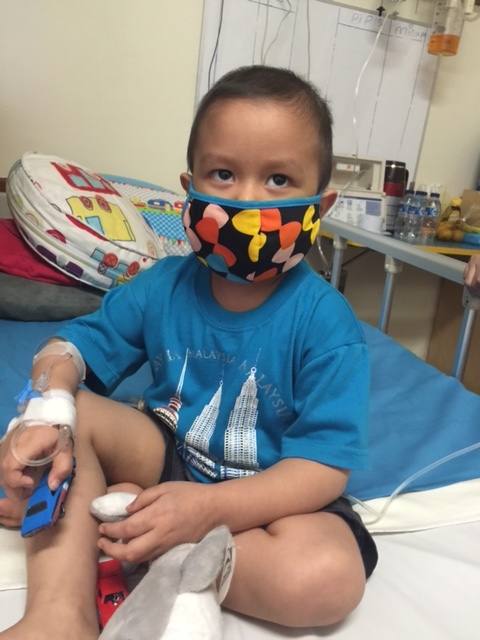 Three year old Karel Havafa has Leukemia. He was diagnosed last November and is receiving chemotherapy. Karel has one older brother and his Father has passed away. 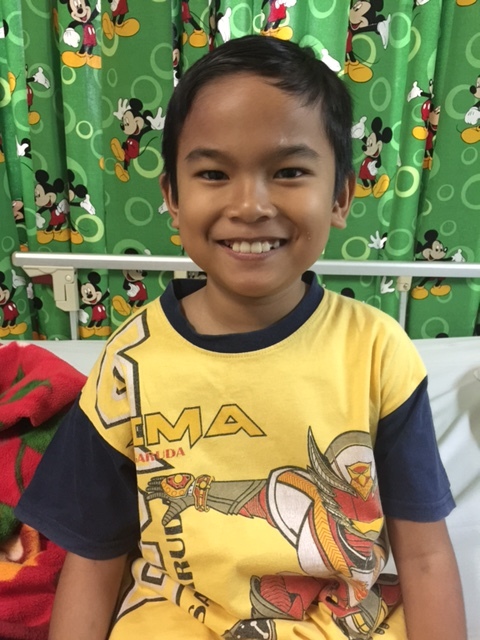 Recently admitted at Dharmais, Christian, is 9 years old and is from Bogor. 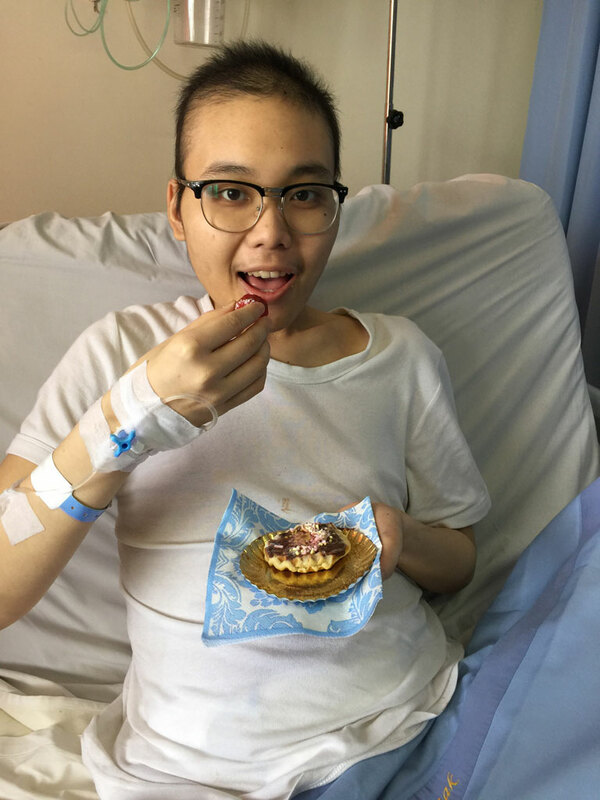 Christian had a tumour removed from his lungs last September and then received radiation treatment. He is currently being observed as he has liquid in his lungs. 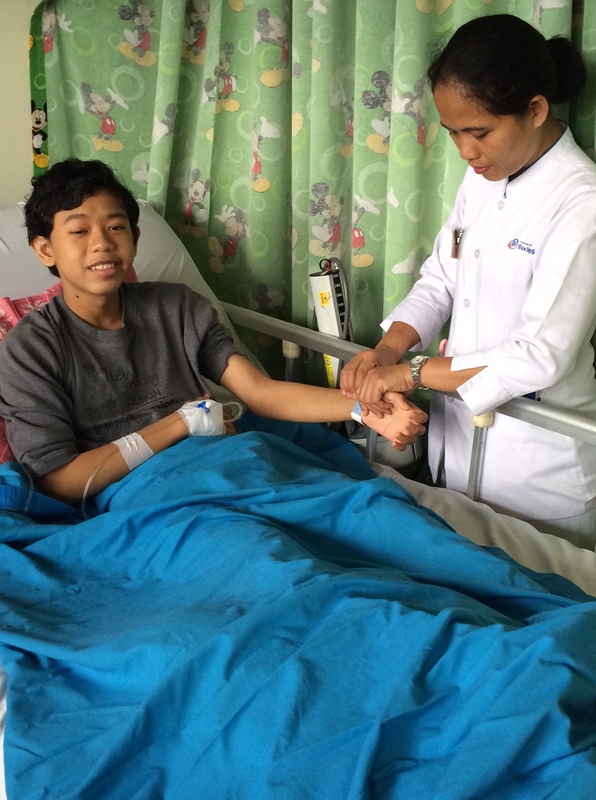 On our recent visit to Dharmais hospital, we met Fahri Faqih who is 15 years old and being treated for an infection. He comes from Bogor. In a nearby room, we met an adorable child. Edwin is from Pekanbaru, Sumatra. 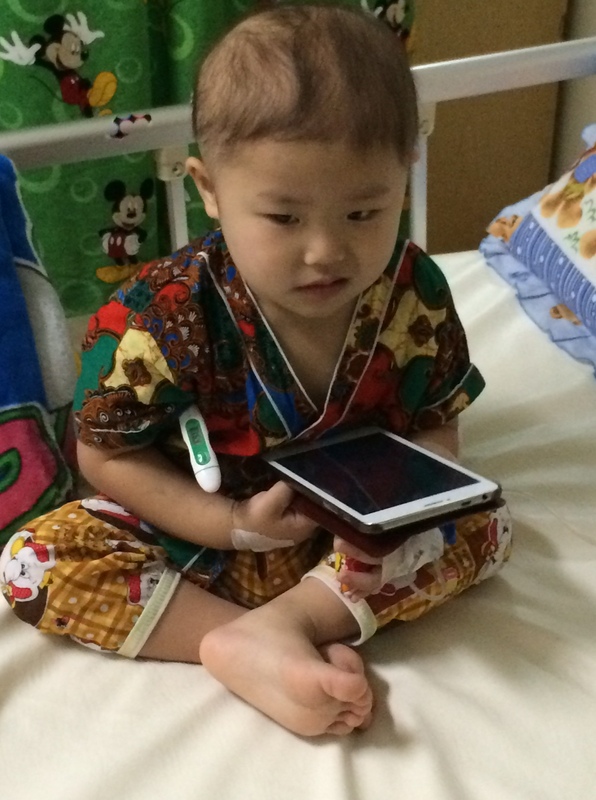 He is three years old and currently being treated for Leukemia. We learnt that he has twin siblings who are six years old. 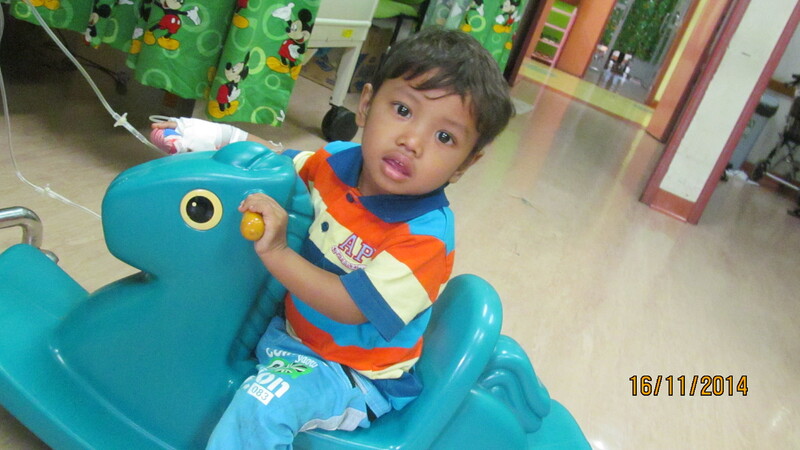 Lastly, baby Alwyan is from Lampung. 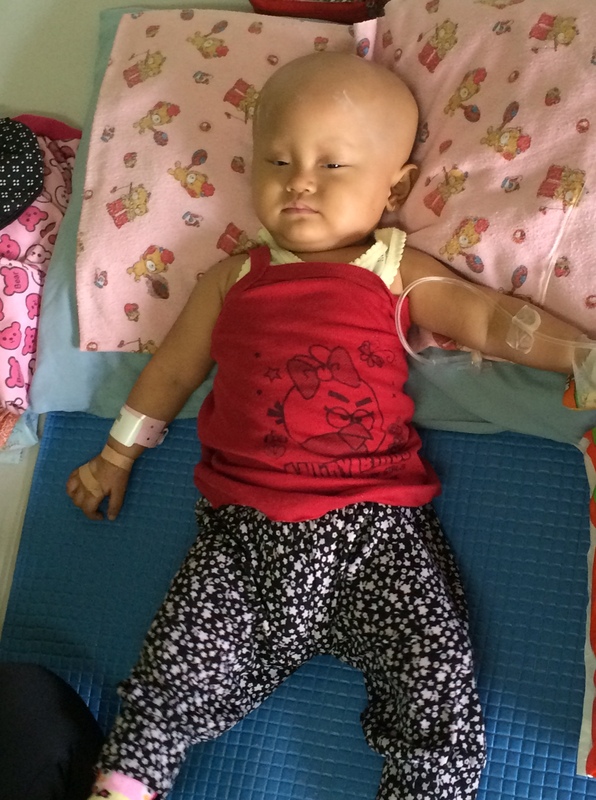 Alwyan is sixteen months old and unfortunately has Neuroblastoma. 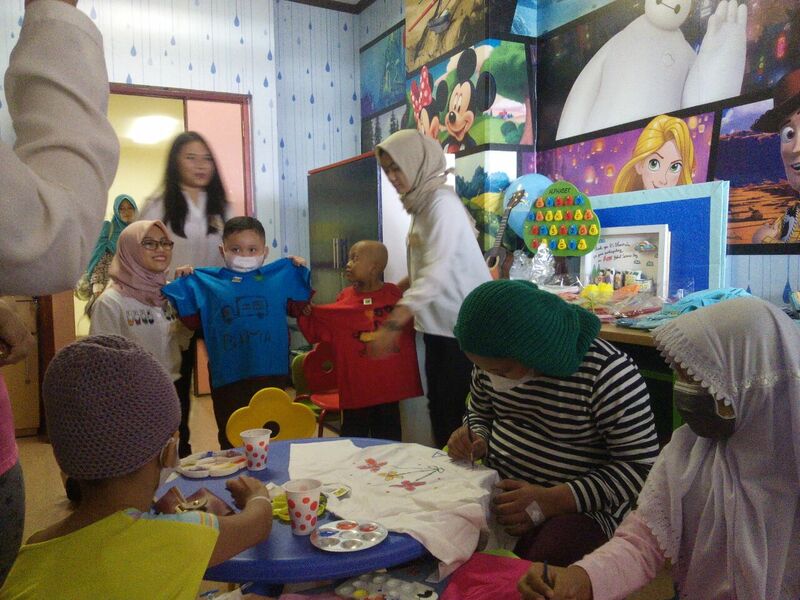 Mary’s Cancer Kiddies have been supporting Alwyan since January this year. We send wishes to them all to get well soon! We visited Dharmais recently and we met 2 children that MCK has been helping. Nurul a 13 year old from Jambi in Sumatra, is one of six children. Sadly, her mother passed away last year. She was incorrectly diagnosed with ovarian cysts and operated on twice. 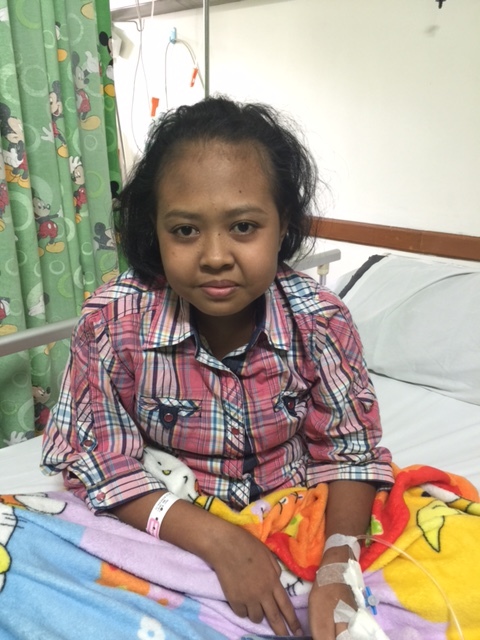 She was finally sent to Rumah Sakit Dharmais where she was diagnosed with Lymphoma Cancer. 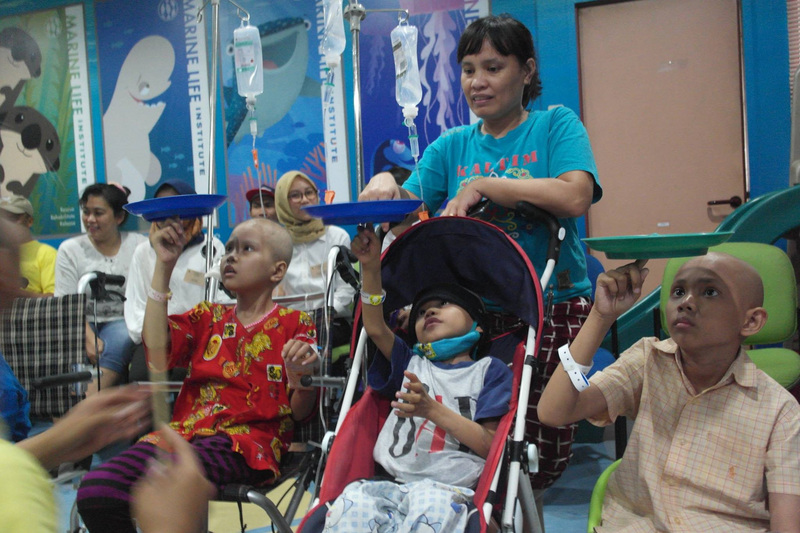 Nurul has now started with treatment and is receiving chemotherapy. Restu a 2 year old, is the second child in his family and has an older sister who is 3 years old. Restu is being treated for a tumor in his kidney.